"Speller Metcalfe have been a pleasure to work with from start to finish - communication was great throughout and no problem was too small"
Speller Metcalfe is a full service provider delivering a range of different capabilities across private and public sector industries. We provide our clients with innovative, sustainable and cost-effective solutions to deliver outstanding projects. Browse our services to find out more. Speller Metcalfe can offer new build solutions across public and private sectors, to high levels of accreditation. Our construction team understand the varying needs of clients and end-users, and we work hard to ensure high specification requirements, comfort and practicability are all incorporated into any of our completed new build properties. We continually work to the highest Government and industry standards, ensuring all of our building developments are undertaken to current specifications and accreditations. Visit our sectors and projects to see a selection of our work. Our Design & Build construction service offers clients a ‘one-stop-shop’ service, with the experienced Speller Metcalfe team taking full responsibility for design, construction and project management. This allows us to work closely with clients and ensure complete understanding and openness between client and contractor throughout – by ensuring your main contractor is part of the project team from an early stage, we are able to advise on buildability issues, value engineering and other design stage requirements. Bringing the project team together at an earlier stage will also ensure greater clarity and collaboration by project members and enables us to produce the most cost-effective solutions, ensuring projects come within time and budget. Speller Metcalfe can offer a multitude of extension works experience, continually meeting the demands of the client who are often still part of a live environment on site. We ensure that we meet the highest level of health and safety requirements and provide clear phased planning and open dialogue with all of our clients, enabling building users to undertake everyday activities with minimal disruption. To find out more about the type of extension projects we have undertaken, visit our sectors page. Our experience of refurbishment and remodelling of existing properties crosses over a range of our construction sectors. Many of our projects require working with clients who remain in-situ throughout the duration of the building works, therefore strict planning is undertaken to ensure minimal disruption to surrounding people and properties. We pride ourselves on keeping an open dialogue with clients to ensure understanding of project stages and adaptability to personal circumstances. Our experience of restoration and refurbishment to existing properties crosses over our range of construction sectors. Our services also include fit outs, which enhances not only the interior quality of a building or individual space, but improves its life cycle and performance. Every fit-out is tailored to individual client specification, taking into account facilities in use, building technologies and occupier requirements. We provide a trusted land acquisition service, sourcing land in the Midlands and South West regions. Our Living division has a team dedicated to buying sites, obtaining planning permissions and offering commercial expertise in ensuring the profitability of a project. At Speller Metcalfe we pride ourselves on working collaboratively with sellers to ensure that all parties mutually benefit from land sale deals. If you have or know of some land that may be for sale, please visit our Land for Sale page. Sometimes it can be more appropriate and cost effective to maintain the existing facilities of a building; for example ensuring properties meet up-to-date health and safety requirements, general upkeep such as air conditioning, water and boiler maintenance, or striving for higher levels of energy efficiency. Speller Metcalfe can provide you with a facilities management service whereby we monitor your property, evaluate what type of services are required and assess any improvements that need to be made. We take responsibility for the design, build, aftercare and facilities management of a new property. Whether designing and building a new property, or converting an existing building to maximise its energy efficiency, Speller Metcalfe use a holistic approach to constructing sustainable builds of the highest quality, while providing our clients best value and practice throughout each bespoke project. Led by our Environmental team, we have delivered award-winning sustainable schemes across the UK including both UK and world firsts in terms of design and delivery. Past projects include the highest BREEAM Outstanding rated building in the world, the first Code for Sustainable Homes Level 6 property in the UK, the first CSH Level 6 and Passivhaus combined residential home in the UK and one of the UK’S first CSH Level 6 affordable housing developments. We have been selected as preferred contractor on an enviable range of frameworks due to our experience, flexibility and willingness to work openly and collaboratively to achieve best practice and value. Our appointments to major construction frameworks across the UK allow our clients easy access to our services, avoiding spending valuable time going through lengthy procurement processes and providing the stability and transparency that frameworks deliver. Select the logos on the left to find out more about our the frameworks we work on. 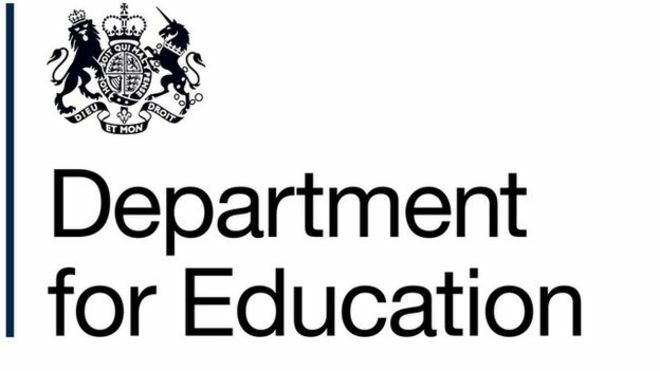 The Department for Education (DfE) £8bn framework works to support the delivery of their own school building programmes as well as being a key procurement route for schools, local authorities, dioceses and other educational establishments to use for their own projects. Speller Metcalfe has been appointed to the low value band in the South West for schemes up to £4.5m and the medium value band in London for projects up to £12m. The Homes England Delivery Partner Panel 3 (DPP3) framework works to enable the efficient procurement of housing and associated development on land owned by public sector bodies and Homes England. Developments procured under this framework are predominantly residential but may include other subsidiary uses (commercial, retail, leisure, educational development). The framework is free to use. The £8bn framework is split into five lots with Speller Metcalfe being appointed to work across the Midlands and the South and South West regions. The Westworks collaboration consortia serve a variety of housing associations, local authorities and charities based in the South and South West of England, providing a range of frameworks, services and supplies to the public sector. Speller Metcalfe is a named supplier on all four lots of the Westworks Construction DPS (Dynamic Purchasing System) covering design and build, refurbishment and remodelling projects from 1-40 units. LHC’s OJEU-complaint Schools & Community Building framework offers the provision of new build projects, extensions, refurbishment and associated works with a design service for school and community buildings projects. Works on education, healthcare, emergency services and community buildings can be procured through this framework. Speller Metcalfe is available to work on lots in the framework’s medium-value band (projects valued at £2-4m) across the East Midlands, West Midlands and the South West and Cornwall. Lot 2 – for Major Projects (having an estimated construction cost of between £1.5 million and £4.5 million). The Central Housing Investment Consortium (CHIC) is a free-to-use consortium offering contractor and supply chain solutions for materials, compliance, planned investment and new build services in England and Wales. Originally formed by seven Midlands-based housing associations, CHIC’s membership has now grown to 38 members, collectively managing 500,000 homes across England and Wales. Speller Metcalfe is placed on Lot 1 for small schemes across Central West England. The Private Investment Construction (PIC) framework is a ready-made construction framework for the NHS, public sector bodies and private operators, providing a mechanism for bringing private sector investment into new build and refurbishment projects. Managed by Prime Healthcare, Yeovil District Hospital’s strategic estates partner, the framework is split into two lots. Speller Metcalfe has a place on Lot 2 encompassing schemes up to £10m across the central and south regions. The Sovereign Development Consortium (SDC) is an alliance of five landlords and housing providers in the South and South West, including Sovereign Housing Association, Advance UK, Brunelcare, Cottsway Housing Association and Housing Solutions Group. The consortium focus on building quality homes faster in a more cost-effective manner, making sure homes are energy efficient and creating attractive estates. Speller Metcalfe’s framework lots include the following regions; West, East, South, South West and South East. The £45 million framework covers building works to the University and its entities, creating some of the most modern facilities in UK higher education. Speller Metcalfe has been appointed to Lot 3 which covers project values exceeding £100,000. 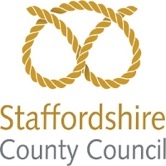 Speller Metcalfe is named on the Staffordshire County Council Construction Projects framework in both the high value (projects over £9m) and low value (£0-2.5m) bands. Works procured through the framework include schools, nurseries, sporting and day care facilities, offices, light industrial, police and fire authority premises. Speller Metcalfe has worked closely with the University of Worcester for a number of years, undertaking a series of facilities management, refurbishment and design and build projects for the University. Speller Metcalfe works on the University of Worcester’s medium construction works framework for all of the University’s projects valued between £300,000 and £5m. Gloucestershire County Council Contractor Framework provides building services for public sector organisations including Gloucestershire County and District councils, parish and town councils, schools and academies, offices, libraries, day centres, care homes, fire stations and other public buildings within Gloucestershire. Places for People is one of the largest property management, development and regeneration companies in the UK, and also one of the largest registered providers of affordable housing. They launched their procurement hub in 2015 with the aim of creating efficiency and cost savings for both themselves and other public authorities. The frameworks can be used by all parts of the Places for People Group and any other contracting authority listed on their procurement hub. The Places for People Dynamic Purchasing System is free to use. Speller Metcalfe has been appointed to three lots on the Sanctuary Housing Contractor Framework. The four-year framework which commenced in December 2017 will be used to procure contractors to complete work across the Sanctuary Group. Sanctuary manage over 79,000 units of accommodation across the UK, including general rented, sheltered, supported accommodation, student accommodation and care homes. 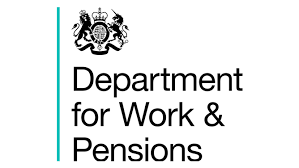 This new four year framework will support DWP’s estate which includes its call centre, corporate centre offices and their national network of job centre plus offices – totalling approximately 850 properties. Speller Metcalfe has been appointed to Lot 2 which covers project values between £250,000-£2m across the East Midlands, West Midlands, East Anglia, South Wales and South West. PAGABO is an experienced organisation providing a procurement and management service to the public sector throughout the UK, offering a single, quick access point to a variety of trusted organisations from local SMEs to national businesses.